La Ferme Soleil has been producing high quality, organic, extra virgin olive oil since the Milner family started its Vacaville operations in 2008. 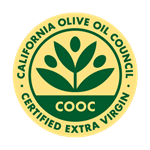 Located in beautiful Pleasants Valley of Solano County, California, La Ferme Soleil takes advantage of a perfect climate and soil conditions for the growing of olives for olive oil. La Ferme Soleil comes from sustainable groves of Maurino, Leccino and a small number of Coratina trees. Every fall, in late October or early November, the Milners carefully monitor their trees as the fruit ripens to pick at the optimum time. Their goal is a consistent combination of green and fully ripened olives that will produce an extra virgin olive oil with a smooth, buttery flavor. Great on bagels or toast in the morning, and steamed vegetables and green salads at night.